Who’s ready for Halloween? I’ll be honest we are BIG fans of all things spooky. 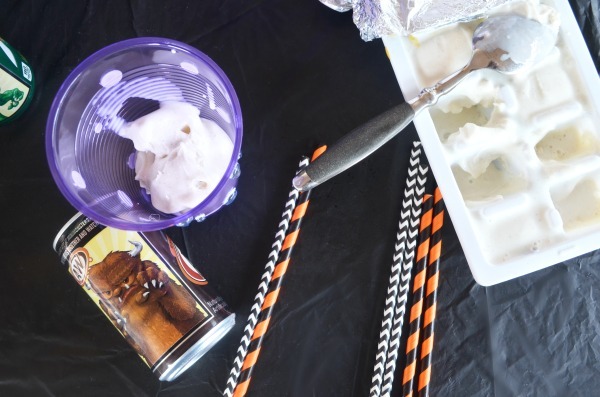 Our haunted home officially went up mid-September, and to take us into this spooktacular season I created a fun monster ice cream float bar. 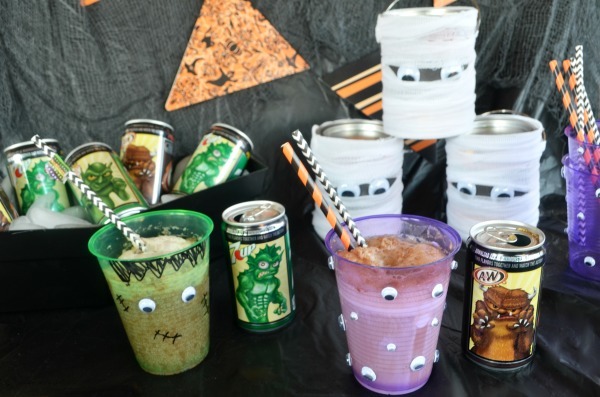 Starring alongside my DIY monster party cups are these fun and interactive Halloween Monster Cans featuring a variety of wickedly fun creatures. 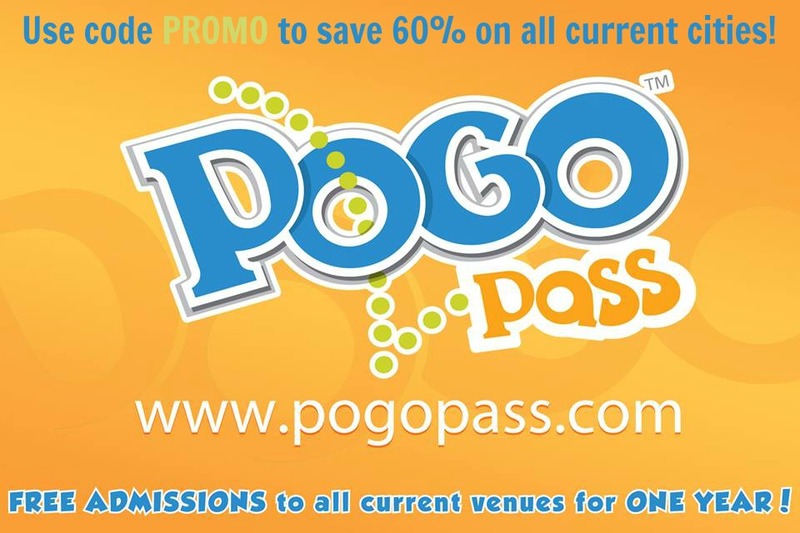 Releasing these Mini Monsters on your Halloween celebrations and trick-or-treating experiences is easy. Grab your favorite 6-pack of Mini Monster Cans at Walmart in your favorite soda variety. 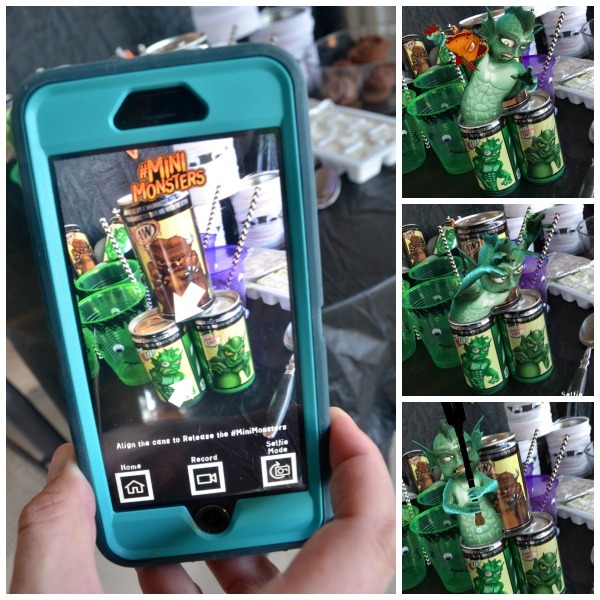 Download the Mini Monster Augmented Reality App, point, shoot, and let the mayhem unfold. 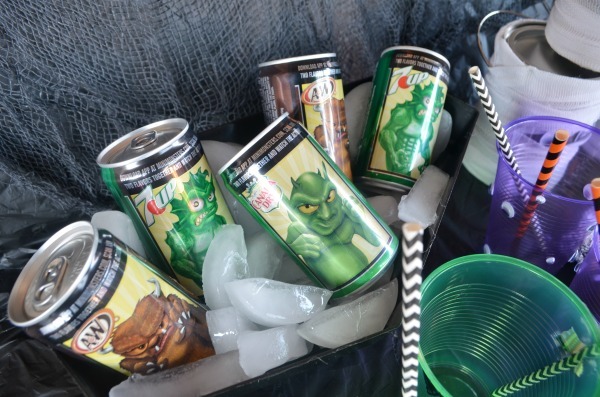 Combine your favorite monster cans for loads of fun and several experiences. These mischievous monsters interact with each other, get ready for the fun! 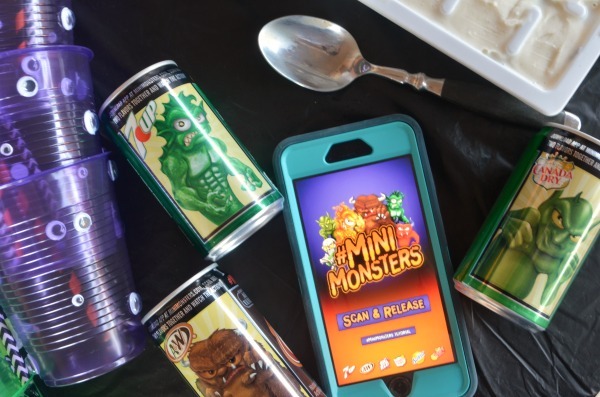 Now that you’re done playing with your food it’s time to craft up some fun monster party cups and delicious ice cream floats. 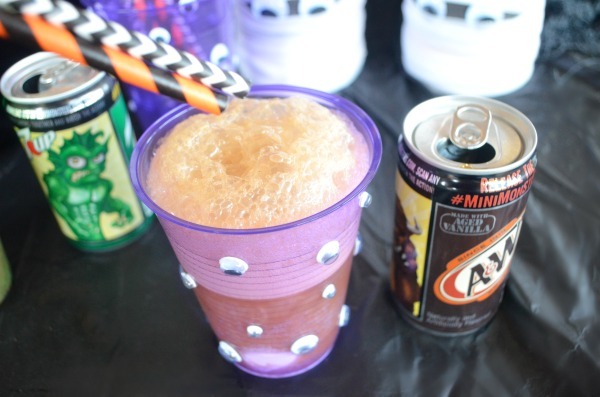 For these 2 recipes I used A&W® Root Beer Mini Monster Cans and 7UP® Mini Monster Cans with vanilla and chocolate ice cream for two classic soda float flavors. I also crafted up a new seasonal favorite, witches brew with Canada Dry®. 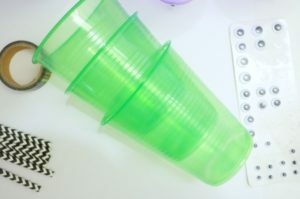 To prep your monster cups grab colored cups, googly eyes, paper straws, and a black permanent marker. 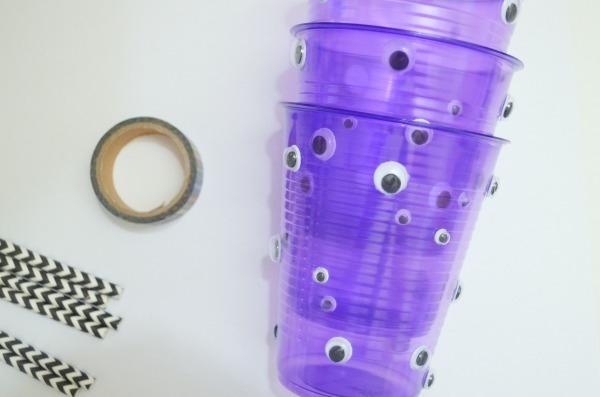 Grab adhesive googly eyes to make this a one minute craft; it’s something the whole crew can jump in on. Who doesn’t love crafting with googly eyes? So much fun! 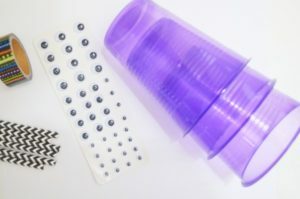 Place googly eyes in a variety of sizes all over your purple cups. 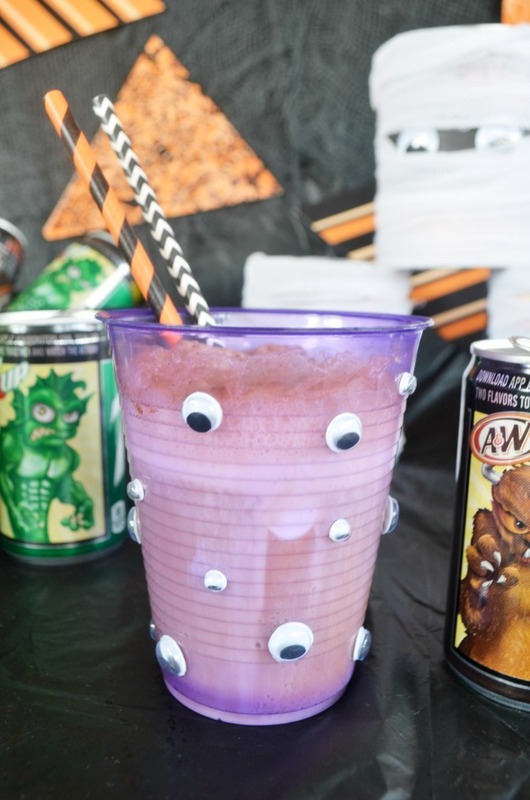 Attach a paper straw with a strip of festive Halloween washi tape. For Frankenstein adhere 2 googly eyes and use a black permanent marker to give him a scraggly mane, smirk, and stitches. Next, fill each cup with a couple scoops of ice cream. For an easy party tip, pre-scoop the ice cream into each cup or freeze in an ice cream tray for individual, ready-to-serve, portions. Pour one Mini Monster Can over the ice cream and wait for the magic to happen. 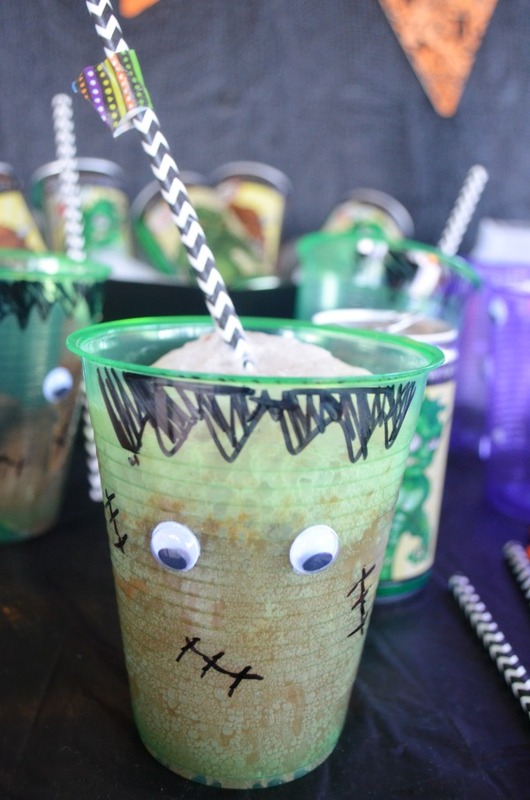 Floats are a fun treat for Halloween get togethers! The foam and fizzy carbonation make for a great mad science effect. 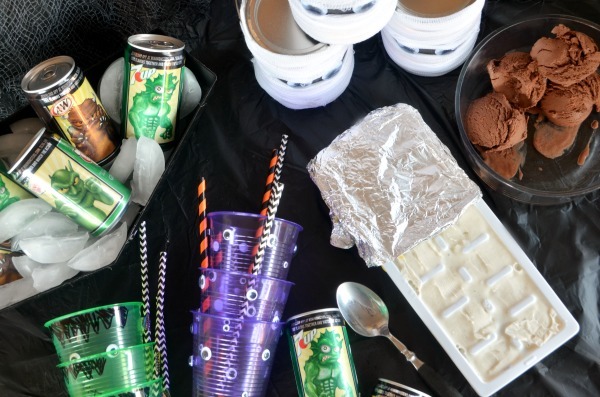 Grab everything you need to host a Monster Ice Cream Float Bar with Mini Monster cans at Walmart. Snag a couple different soda varieties for the ultimate monster can experience. Snag a video of your monsters coming to life, and even take a selfie with your favorite ghoul. 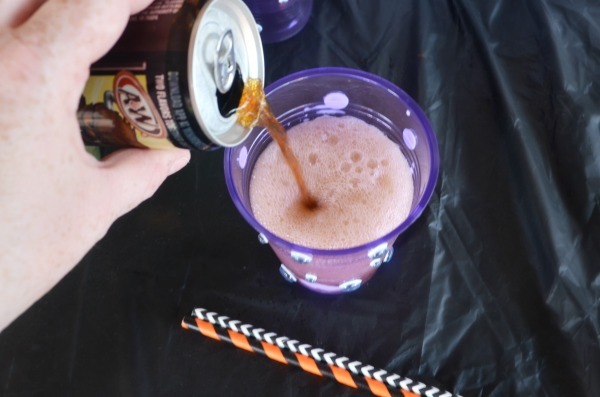 Try these 2 classic float flavors with Mini Monster Cans: Root Beer Float- vanilla ice cream with A&W Root Beer AND Chocolate Soda: chocolate ice cream with 7UP.